We conduct a geographically and temporally disaggregated empirical analysis of civil conflict at the sub-national level in Africa over the period 1997-2011. Our units of observation are cells of 1 degree of latitude by 1 degree of longitude. We exploit within-year variation in the timing of weather shocks and in the growing season of different crops, as well as spatial variation in crop cover, to construct an original measure of shocks that are relevant for agricultural production. Employing a new drought index we show that negative climate shocks which occur during the growing season of the main crop cultivated in the cell have a sizeable and persistent effect on conflict incidence. 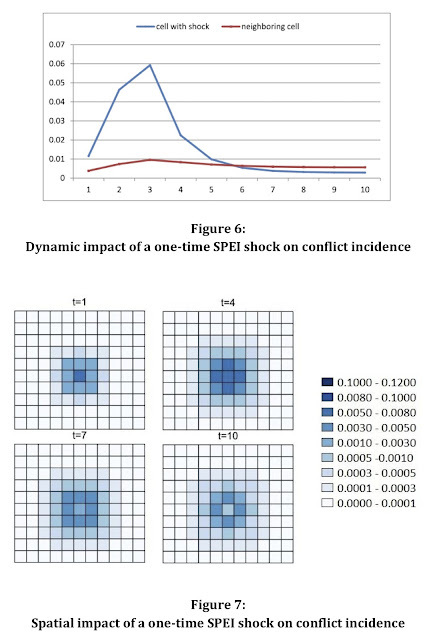 We also use state-of-the-art spatial econometric techniques to test for the presence of temporal and spatial spillovers in conflict, and we find both to be sizeable and highly statistically significant. 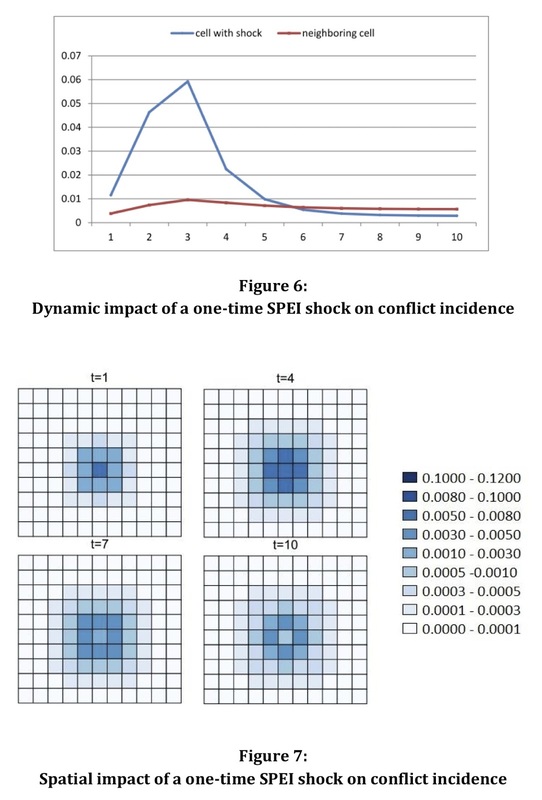 Exploiting variation in the type of conflict episode, we find that the impact of climate shocks on conflict is particularly significant when focusing on outcomes such as battles and violence against civilians. 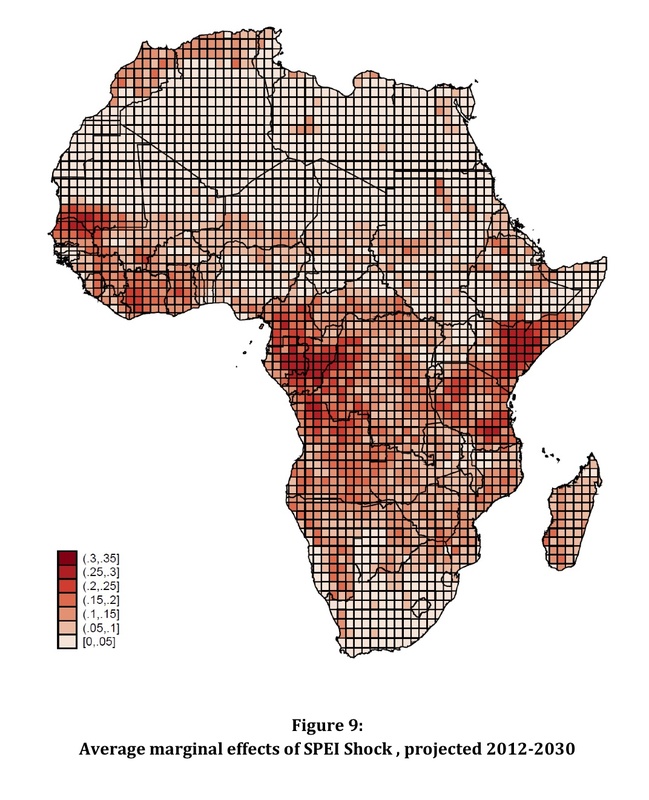 Our estimates can be used to predict how future warming scenarios affect the prevalence and diffusion of conflict.